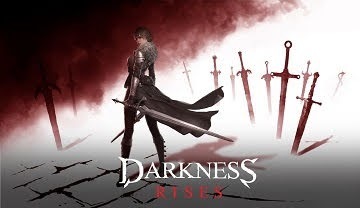 Here'a a skill build and combo patterns for players playing Assassin class in Darkness Rises, a hack and slash action adventure Android and iOS mobile game. Assassin - An agile assassin that wields dual swords with masterful precision. Cuts down enemies with a whirlwind of blows. *Note: Flash of Lightning is best used after Stun+Plague Coil, but still bad if targets are not pushed during Team PVP. - Backstab is your initiator and stun skill, you should master how to use this properly because it's cool-down is a bit long. One way is to move until you see the opponent right at the edge of the screen, then quickly move forward for a few steps and execute. - Backstab can also be used right after the enemy dashes or use any skill, just time it well. - Trick: To bait them to use dash, just run towards them then use 1 auto attack, sometimes they will dash towards your back side, that's the time to use a perfect Backstab! - Thunder Fang is your base nuke skill, upgrade early on to massively increase it's damage output! - Stun locks are awesome, letting you deal so much damages and auto attacks, but watch out though because they can sometimes move away due to their "Stun Recovery" stat. If that happens, do not use a full AA while stunned, 1~2 hits will do. - Dancing Blades can also be your initiator skill in-case your Backstab missed. Dash towards the enemy and execute, or use any sneaky moves you have. - Combo: Backstab > AA > Thunder Fang > AA > Dash Forward > Dancing Blades > If stunned, do AA, otherwise use Block then dash away. - This is in-case you used Thunder Fang first. - Highly recommended if you are having trouble connecting your Dancing Blades, or would like a different approach. This build is a 2-1 Skills Combo, meaning only use Backstab and Thunder Fang as combo while Shadow Clone would be used as your spam skill, use it whenever it is ready. - Only use all 3 if you get the chance: Backstab > AA > Thunder Fang > AA > Shadow Clone. - If you are close enough after dodging an attack you can actually connect Shadow Clone > Thunder Fang too! This way, you can maintain a good DPS, even if your Backstab misses for example. - Note: Doing 2 AAs after Leaf Kick is possible but will not always connect with Thunder Fang. - Leaf Kick's Defense reduction debuff can boost your next attacks, which is great. - The only drawback is that, once your Backstab missed, your moves are pretty hard to execute, and also predictable, so master your Backstabs well. - If Leaf Kick's base damage is much higher, I would highly recommend this, otherwise it's better to upgrade this at later levels if you like, and once you max out your main skills. - All Skills with 250% Base Damage (check list above) are also possible to use with Backstab and Thunder Fang, but upgrading them would also diversify your Skill Points, so I would recommend to focus on few skills first during early to mid game for all around use. 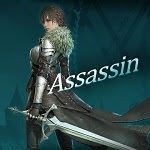 - Assassin's auto attacks are really fast, unfortunately you don't want to stay long if there are enemies nearby. Dash in and out of battles to avoid getting huge damages. - If all of your skills are under CD, use your fast auto attacks to help your teammates, but watch out for enemy attacks, dash right away. 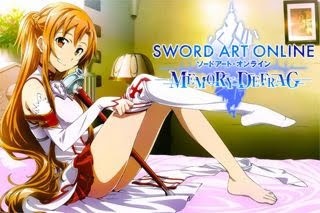 - You have the fastest move speed so use that to collect Buff and Life Orbs while your skills are in cool-down mode. 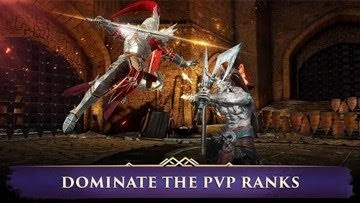 - Unlike Duel PVP, Team PVP will give you a lot of opportunities to accurately use your skills, so abuse your stun skills and lock enemies for your teammates. - Remember, Assassins are still kinda squishy so stun skills are your best ally for Team PVP. - Backstab is your initiator skill, then use Dancing Blades right after to also stun other enemies nearby, a perfect crowd control combo that can also ensure survivability. Just be careful and don't dive into clashing skill attack animations, because you might get caught and catch huge damages instead. - If your teammates knows what they are doing, your team can probably kill at least one of them during the 1st clash. - Like always, you can still get AAs after kicking them to the air for extra damages, if you get the chance. 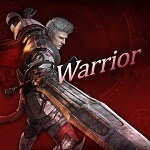 - This build's main role for team PVP is to nuke enemies with your high total Damage Output, cool-down is a bit long but DPS is still good, just make sure to connect your skills. - One thing where Thunder Fang is also good at is for getting "Ring Outs". If you see foes standing near those edges, use your stun skills then quickly position your character and use Thunder Fang + AAs (for longer distance) to push them out of the ring. - It may or may not work, but still worth the shot. - With Dancing Blades, it's possible to Ring Out all 3 characters if you are lucky ~ lol. - If you want to play a different approach by replacing Dancing Blades with Shadow Clone. Follow this build if you are using Backstab, Thunder Fang and Shadow Clone for Duel PVP. - Refer to the 2-1 Skill Combos #1: Alternative DPS Build+AoE section below for more info. - Freezing Scar, Leaf Kick, Moonlight Cut, and Throw Dual Swords are possible alternatives for Thunder Fang (or Thunder Fang and Dancing Blades), but I would recommend sticking to Thunder Fang to let you focus on few skills first during early to mid game for all around use. - NOTE: Only proceed with the builds below after getting your main skills high enough first, for all around use. 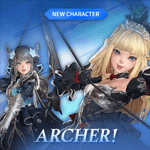 This build is recommended for experienced players because this requires timing and accuracy, plus you need to upgrade them first at higher levels to be on par with the above skill build. 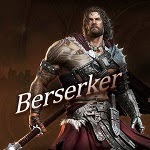 - Same as our main skill build above, but this time only use Backstab and Thunder Fang as your 2 Skills Combo. - Use Shadow Clone as a separate solo skill and spam as soon as it is available. It has long range line AoE and can go through walls, try to hit multiple targets with this one. - Only if all 3 skills are available, gives great DPS and Nuke damage! 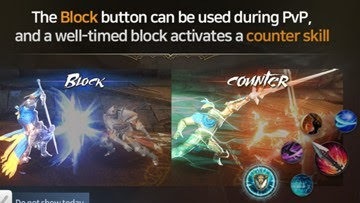 - Pros: Stun!, Combos are easy to connect+AoE, Good overall DPS, and can do 3 Skills Combo Nuke! - Cons: None notable... DPS however is almost the same with the skill build above, but with AoE skill. 2-1 Skill Combos #2: High DPS Build! - This is much more interesting because you can use a 2 Skills Combo every 13~11 seconds, which would give you higher DPS, just cleanly hit your Moonlight Cut to sink in the next skill (it moves forward so use that). 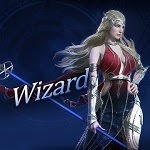 - Freezing Scar also have an Attack Reduction debuff, good for team play. - Note: Even if some attacks doesn't hit, overall DPS is still quite high with these 2 skills. - Shadow Clone: Same as above. 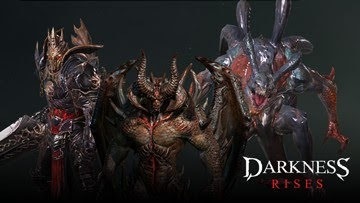 - Only if all 3 skills are available, gives excellent DPS and Nuke damage! - Pros: Great overall DPS, Attack Reduction debuff, and can do 3 Skills Combo Nuke+AoE. - Cons: No Stun!, Combos are a bit hard to connect but still doable. - Throwing Dual Swords was my first choice over Shadow Clone but after checking it closely, it looks like you can only get it's full damage potential if the target is within the spinning swords. Targets that are standing right in-front of you will only get few damages! - Notable DPS for PVE, no need to upgrade Moonlight Cut early game if it is only used for PVE, but do upgrade if you need more fire power and once you get extra skill points, cap them to Lvl 9~30 first (multiples of 3). - Max Thunder Fang to increase Damage Output and decrease Cool-down. - If you want to use Moonlight Cut for Team PVP, upgrade more later on. - Max Dancing Blades, mainly to reduce cool-down asap, but if you are mostly using Shadow Clone for PVP, just cap this to Lvl 9~30 (multiples of 3) for PVE or PVP. - Only upgrade Plague Coil if you need more fire power for PVE and once you get extra skill points, cap them to Lvl 9~30 first (multiples of 3). - Upgrade Shadow Clone if you need more damage for PVE, but cap them too to Lvl 9~30 first (multiples of 3) to save up SP for your Main Skills. Max if used for both Duel and Team PVP, otherwise cap it to Lvl 30~45. - Max Backstab, mainly to reduce cool-down asap! 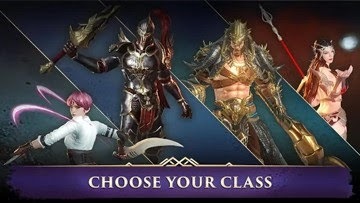 - Please note that this is not the only way to play Assassin, also try other skills as well since you can max them all in the end.